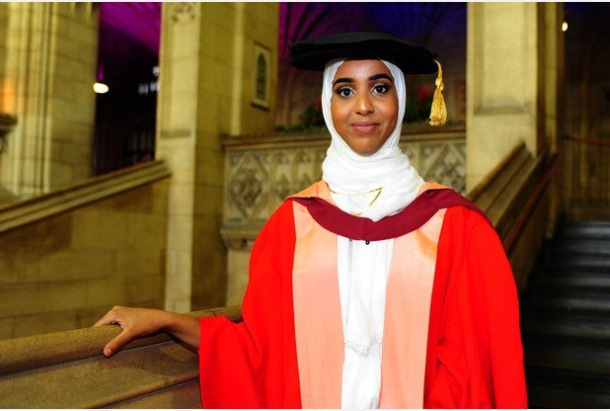 FAHMA MOHAMED made history by becoming one of the youngest people in the UK to receive a doctorate. The 19-year-old from Bristol was awarded the doctor of laws by the University of Bristol for leading a campaign to end Female Genital Mutilation (FGM). “This has been seven years of hard work, we had so many obstacles to overcome and struggles at the beginning because it was so taboo,” she told The Guardian ahead of receiving the honour last year. “It was fighting against something people were in denial about, it was hard for people to understand our point of view and for people in the community to be able to come out and say I am against this, too. Fahma was 14 when, along with the Bristol-based charity Integrate, she started the campaign to end the practice of FGM in Britain. Generally, the practice involves the removal or damage of a girl’s outer sexual organs and can result in infertility, infection and, in some cases, death. Her campaign called on then-Education Secretary, Michael Gove, to write to all teachers in England and Wales, warning them of the dangers of FGM and offering advice on its prevention. It culminated in compulsory training for public sector workers to help teachers, doctors and social workers identify and assist girls at risk. According to the NSPCC, more than 1,700 victims of FGM were referred for treatment at specialist clinics between 2013 and 2015. There is an estimated 137,000 women in the UK who are living with some form of FGM.